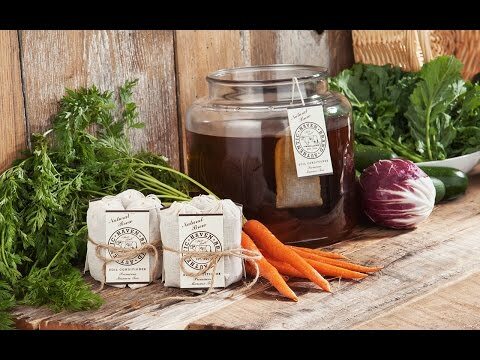 These tea bags are made by hand with five-generations of farming know-how, a decades-long commitment to sustainable agriculture, and no synthetic ingredients. Use the “tea” to condition your soil—the Alfalfa Natural brew is specifically designed to help you grow healthier, beautiful roses. 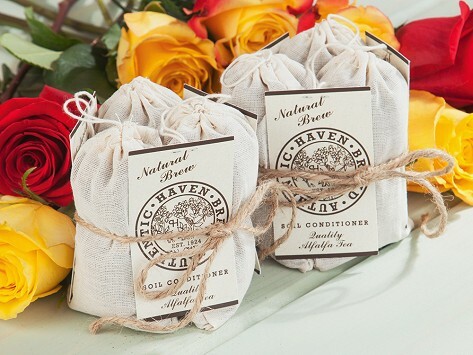 Dimensions: 4.5" x 2.75" x 1.5"
Authentic Haven makes a special alfalfa bag for rose gardeners. For everyone else, the cow manure bag works with virtually every other plant and flower, indoors or out. And no, they don’t stink. Each bag has a faint aroma of farm life and can be reused up to four times. Indoors or out, these brews are safe for all soil types. Feed your garden plants four times during the growing season, and your houseplants once a month. This brown tea will give you a green thumb.